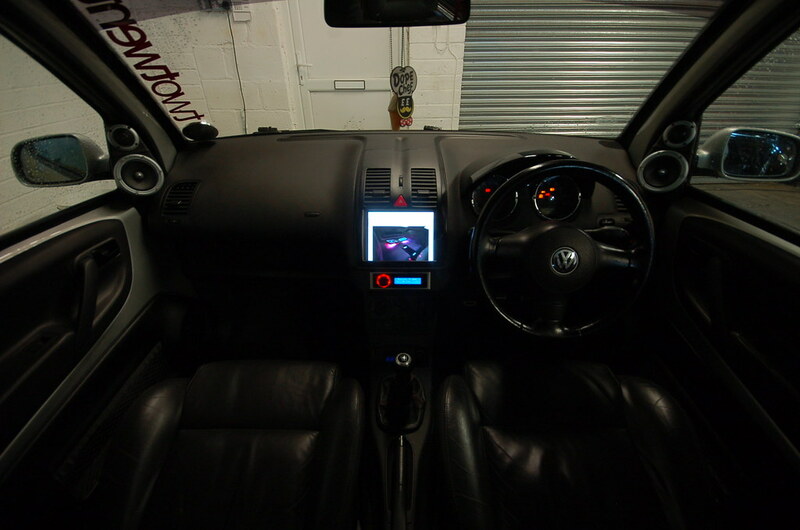 Ross' Lupo Gti came to us for the full works, check out the write up! 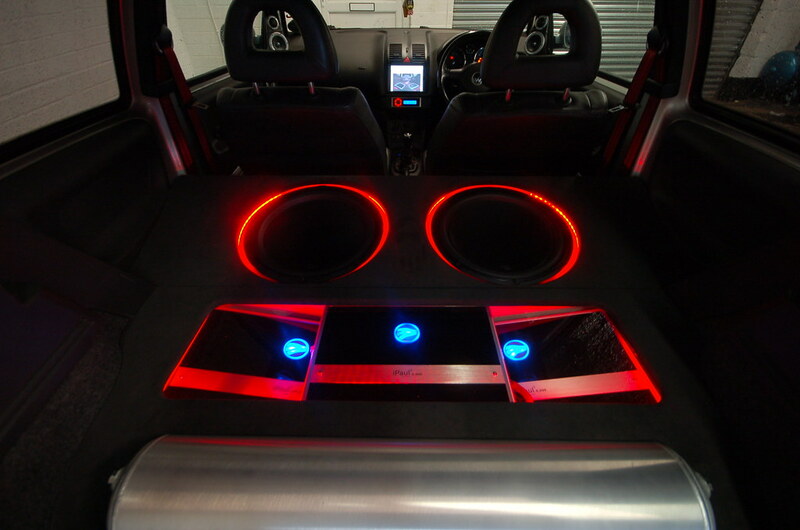 There is a whole lot of kit fitted into the relatively small cabin space of Ross Mullins’ Lupo Gti. This build took a lot of thinking about. 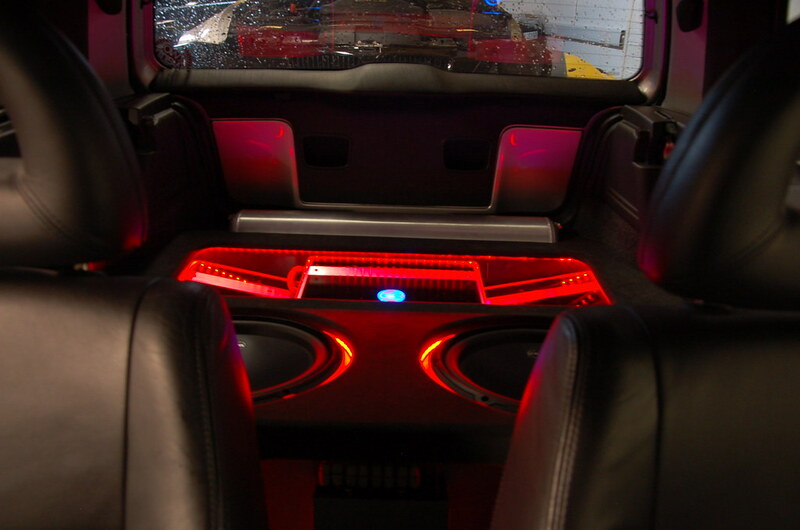 With not only two thirteen inch sub woofers, three way front end, processor and three amplifiers but a full digital air system as well. Simple stuff…. We first started to talk with Ross about doing his install nearly a year ago. He had seen our iPad installs and was interested in having something similar in his car. After some emails back and forth a plan was put into place and the kit we would use decided on. 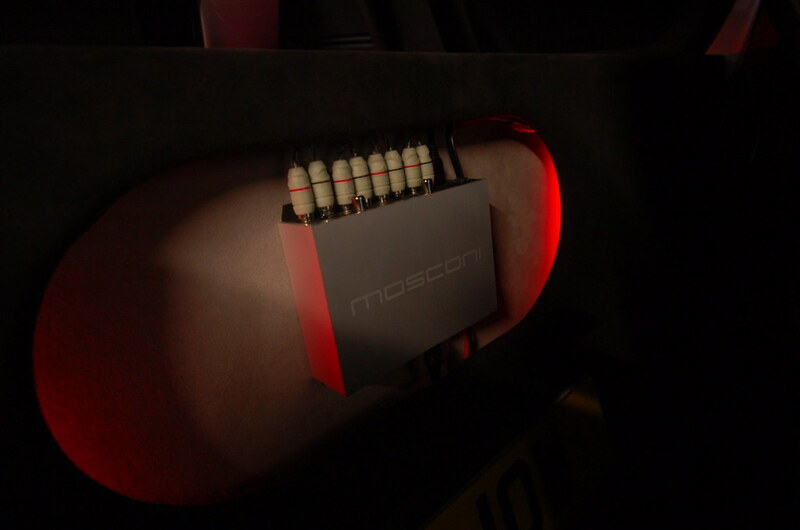 Being a seven channel active system we decided with Ross that a processor would be the best way to sort out the sound within the car. In this car the Mosconi 6to8 V8 was chosen. We have added to the base processor the DSP CTR (remote control) and SP-DIF board (this allows us to go into the processor digitally) Keeping all the signal from the iPad digital and using the processors DAC (digital analogue converter) gives the best possible reproduction. The processor is then used to set the time alignment, cross over, input – output level, phase, and equalise on each channel. These signals are then sent to the three amplifiers. 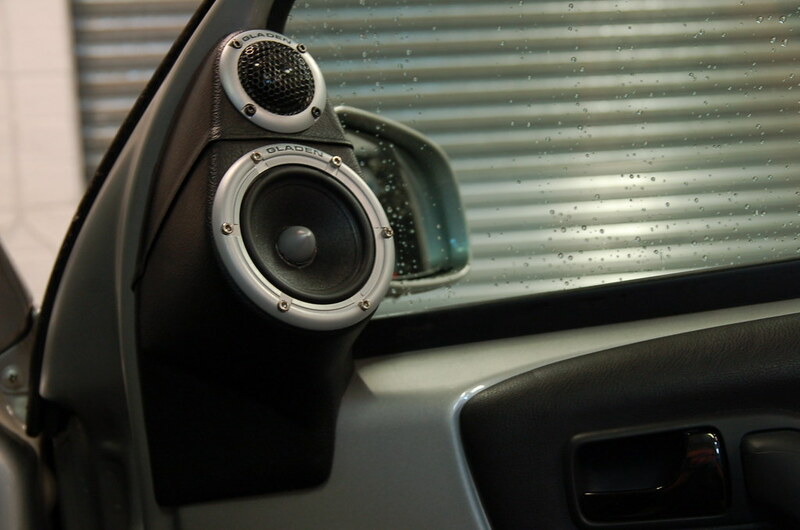 This system allows us to set the system within the car to its maximum potential, as well as tweak it to the customer’s individual taste. The controller for the processor acts as a master volume control as well as giving balance, sub-woofer control and pre-set select. 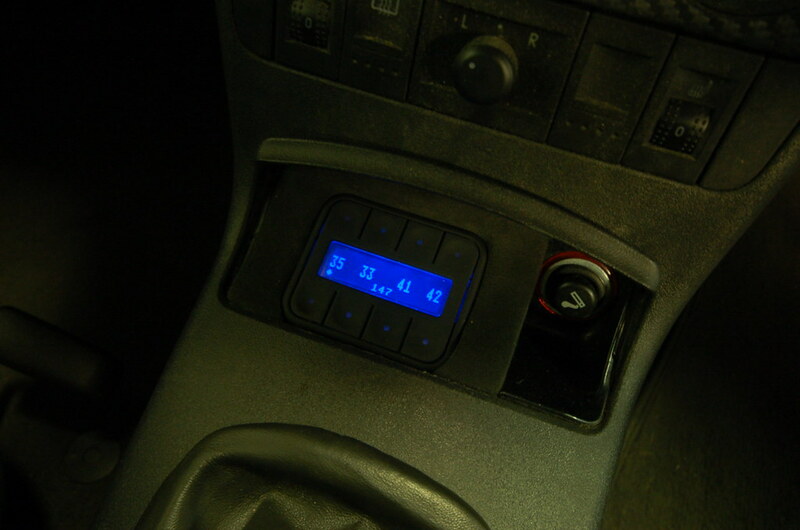 A custom panel was fabricated to put this just below the iPad mount integrating the controller fully into the dash. 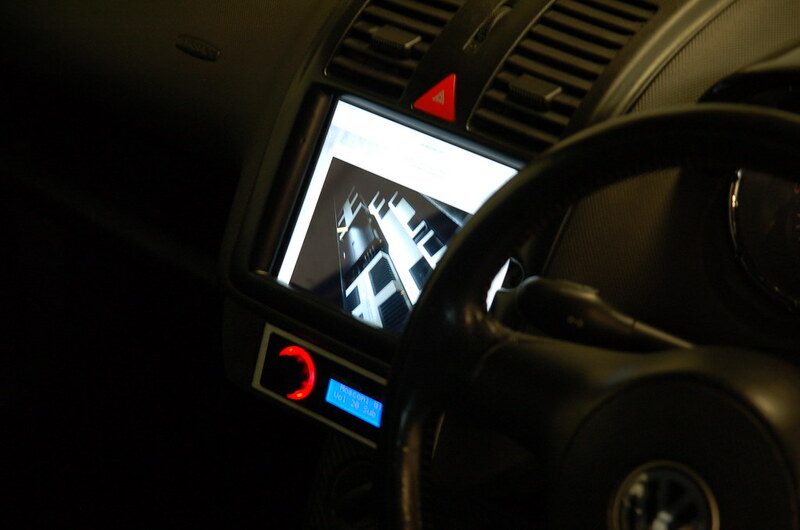 The front end setup used in the Lupo are Gladen’s Zero Pro 165.3. These stunning speakers can not only give you amazing sound quality, they also have the ability to get very loud. 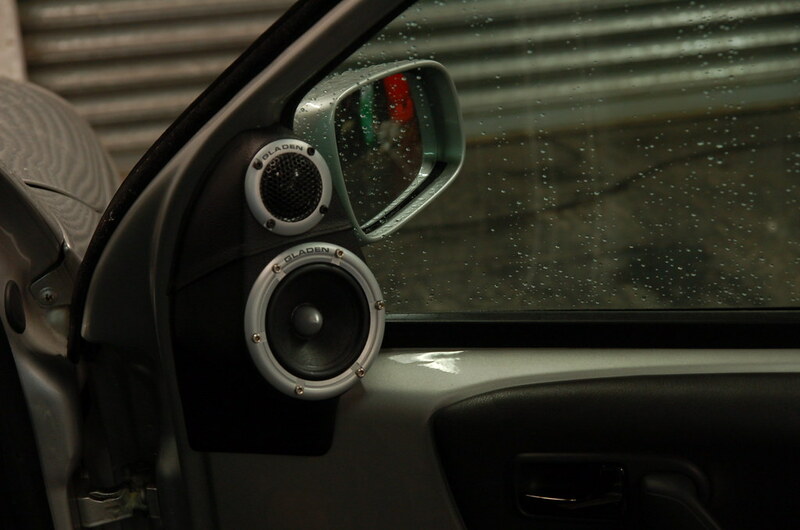 The 6.5” mid bass speakers were mounted where the stock speakers are in the Lupo. 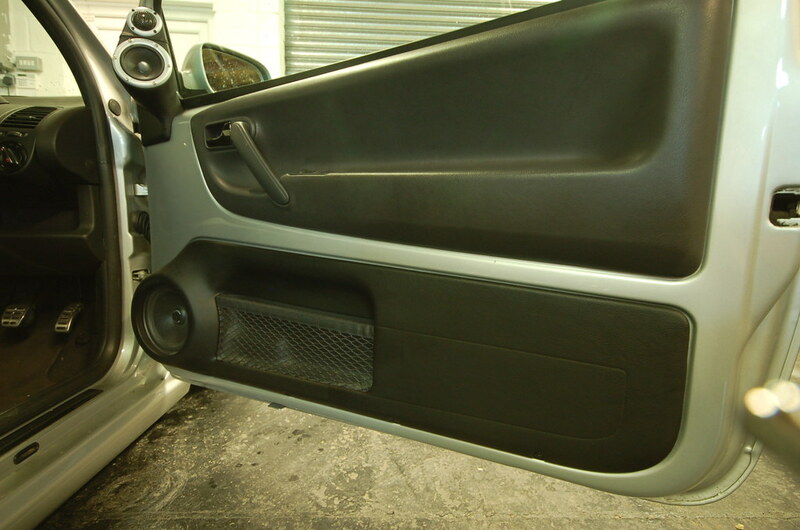 The lower door cards were removed, 48mm MDF baffles were made and mounted solidly onto the door. 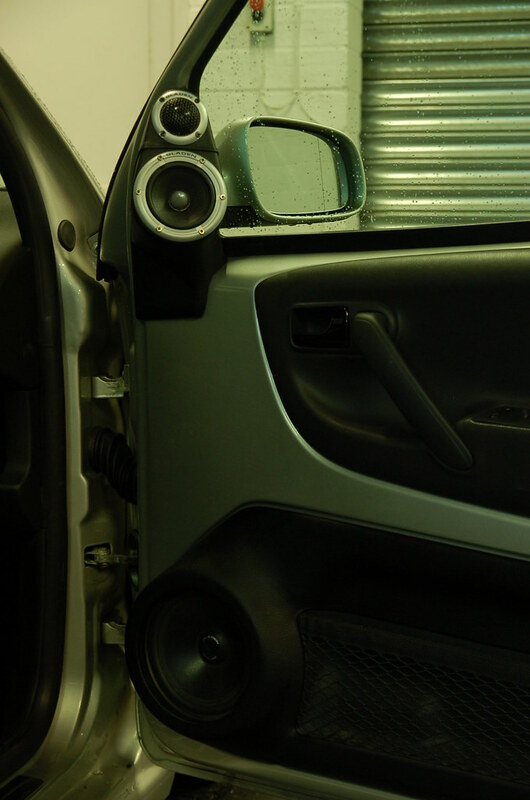 The door card was then modified to become a cover which sits over the speaker utilizing the original pocket to keep things stock. This along with a fair amount of Skinz Reference automotive sound deadening has given a great enclosure for the speaker to work in. The mid bass in this car really kicks. As this car was having a three way kit this left the mid ranges and tweeters to deal with. 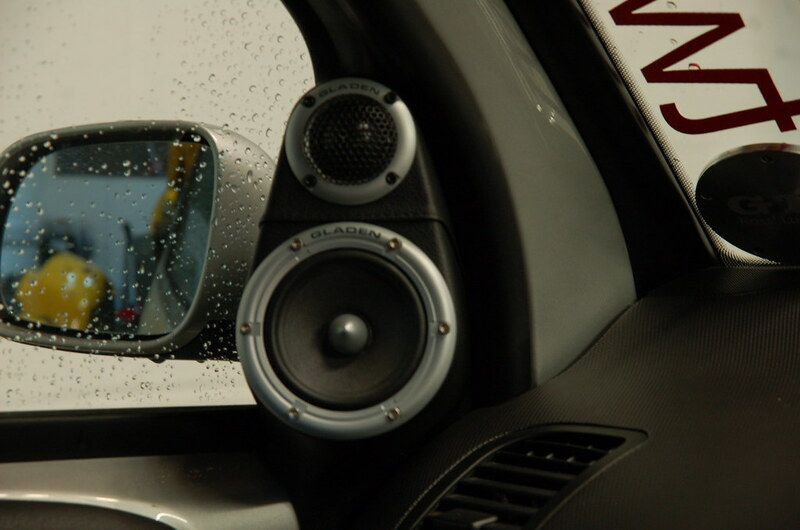 There is a nice sail panel in the Lupo which lent itself nicely to having a teardrop build to house both of these speakers. The baffles were cut from 12mm MDF and then fiberglass used to shape the panel. By placing these speakers slightly on axis and higher up in the cabin the tone and stage sound as wide and controlled as they should. Both the Lower door cards and the sail panel builds have been trimmed in a stock look leather grained vinyl, to tie them into the rest of the interior in the car. When we received the car from Ross it already had a basic Air lift Auto pilot V2 setup. This was removed and the old 5 gallon (22lb) tank was removed and replaced with a nice new 4 gallon (6.6lb) Air Lift aluminium slim tank. These things really do shock you when you feel the weight of them compared to the old air lift kit tanks. The Air setup was moved around with a lot of it being lost into the wheel well. The new tank was then mounted across the rear of the boot. 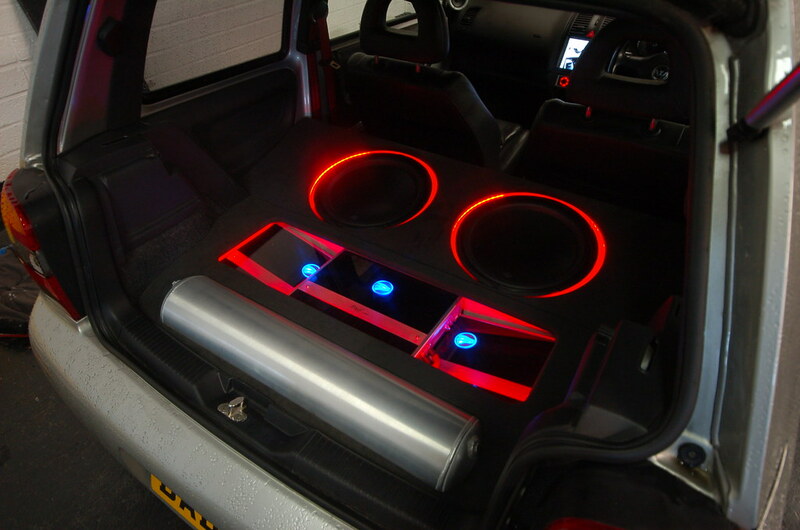 This gave us the space we needed to fit the 3 amplifiers and sub woofers into the remaining space. Ross already had two of Rainbows iPaul amplifiers (DM2000 and a 4.300) we utilised these and added a third into the mix 2.400. 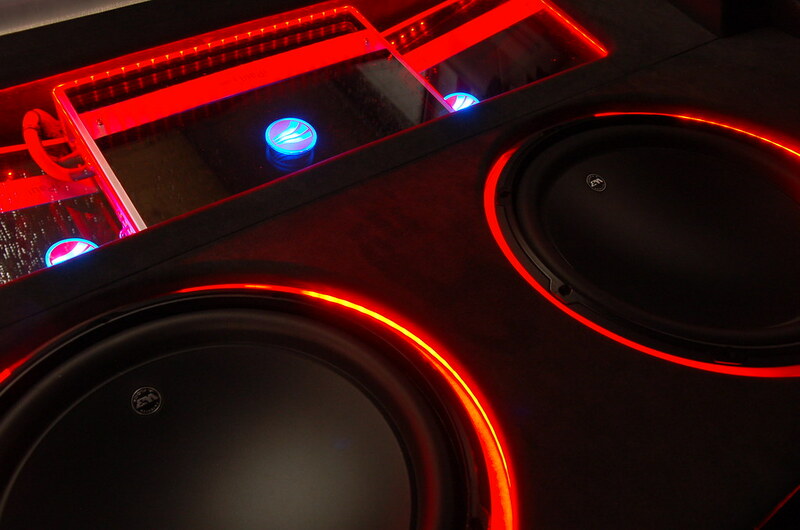 With one amp taking care of the sub bass one on mid ranges and the third on tweeters and mid bass. There is plenty of power on tap should it ever be needed. 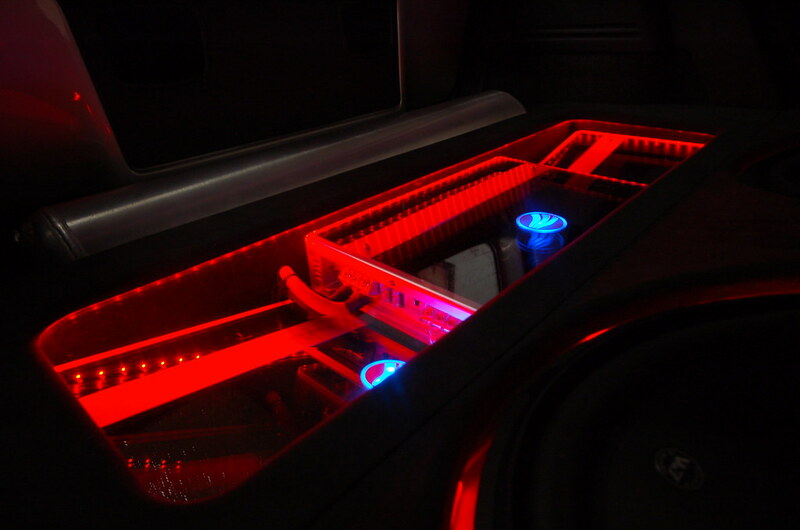 The amplifiers have been placed in a trimmed box and accented lighting to complement Ross’ theme. 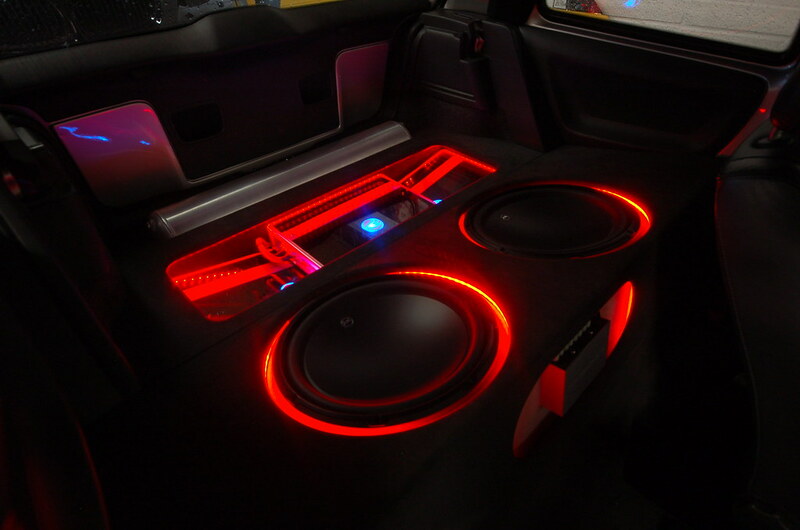 The two JL Audio 13” W3v3’s are placed in the mid cabin area of the car, The box is suited to the parameters of the speakers and the bass this thing gives off is punchy but it also hits hard and drops really low. So whether Ross is in the mood for some SQ based listening or wants to turn it up with some dubstep and DnB this system can cope. Here are a few more pics of the install all finished up. As with all the blog posts if you want to know more about the products in this build just click on them in the blog.